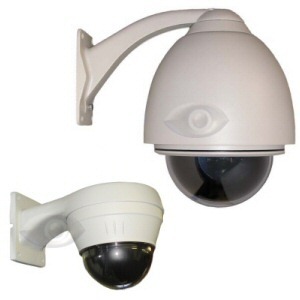 This type of camera is popular with large facilities that have security guards, or for others who like to watch their property closely. These moving style cameras can be used to zoom right in on persons or vehicles on your property to get a closer look. PTZ style cameras are great to provide you with remote eyes on your property, because just like you they can look around to view the entire area. These moving PTZ cameras are available in several different varieties: Analog CCTV, HD-SDI and HD IP.